Take Two Tuesday! Bella style. Now this is what I call RELAXING! A different Take Two Tuesday! Seems I am finally getting back on track--Monday Mailer and Take Two Tuesday! Yippee...I am so proud of myself, lol. It has been a couple of weeks so I will answer that question--what is Take Two Tuesday? 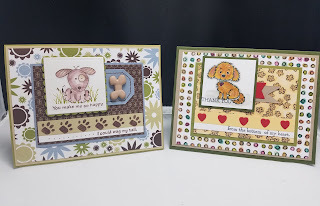 Each Tuesday I randomly--kinda 😏-- pick an older card from my stash to re-create using new products and ideas. I have to admit that sometimes I like the old card better than the re-creation--but sometimes not! At the end I always ask for your thoughts about which one you like best. Kind of fun. I actually think both cards are cute this week. 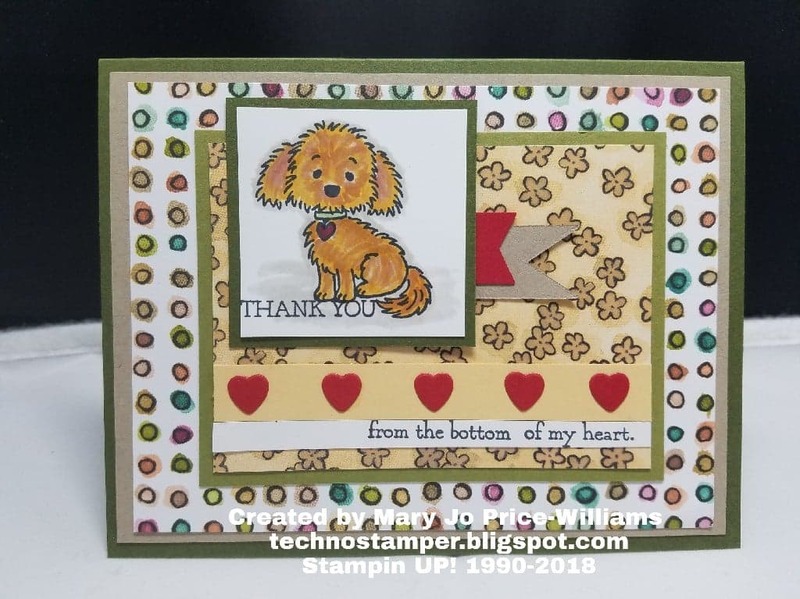 I didn't really think about the fact that the original card is a non Stampin Up image. The paper is Stampin Up though. I think that little dog came from a dollar bin at JoAnn's if my memory serves me correctly. I thought that all of the little piece made the card adorable. And the dog image too so I decided to stay with the dog theme and use Bella from Bella and Friends Isn't she cute as can be???? I see now in the picture that maybe the words thank you should have been down a bit lower--I may have to change that after posting. Other than that I think it turned out pretty cute. The papers are from the Share What You Love Specialty Designer Series Paper. Love the fun colors!